Hillary Clinton officially announced her run for president in 2016 Sunday. We discuss the road ahead for her campaign and other candidates with A.G. Gancarski, columnist for Florida Politics and Folio Weekly. As the First Coast marks National Volunteer Week and Jacksonville Volunteer Appreciation Month, we preview HandsOn Jacksonville's Celebrate! Good event with Judith Smith, CEO of HandsOn, Jefferson Rall, Executive Creative Officer with AntonWest Advertising, and guest speaker Neil Bush. Bush, Board Chairman of the national volunteer organization Points of Light Foundation, is the son of George H.W. Bush and brother of George W. and Jeb Bush. We discuss the Cathedral Arts Project's 11th annual Spring for the Arts event with Beth Jennison, event chair of Spring for the Arts, and presenting sponsor Heather Moore Geraghty. And our sports contributor Cole Pepper joins us with news about the 2015 Golf Masters Tournament, the NFL draft and more. 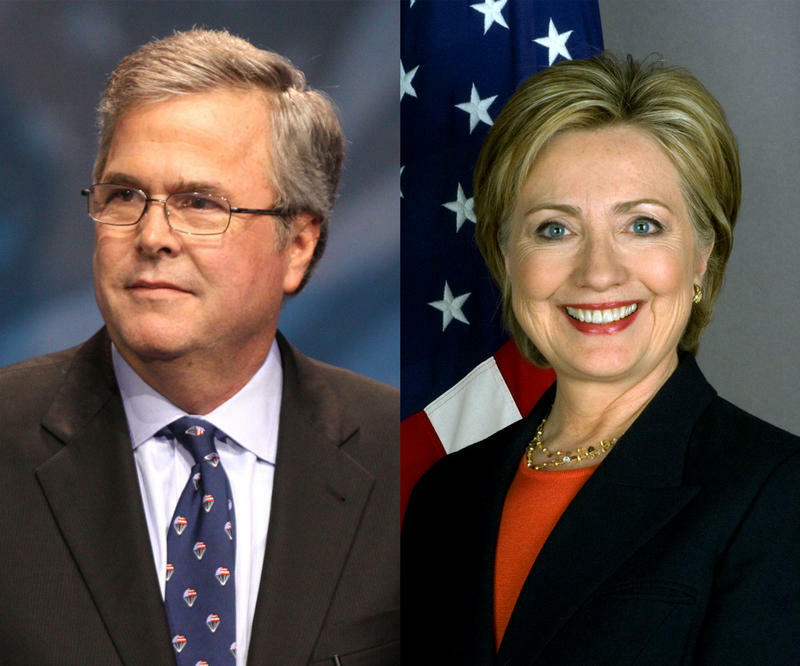 TALLAHASSEE, Fla. — Bush vs. Clinton could be a barnburner in Florida. A Quinnipiac University poll released Tuesday shows former Gov. Jeb Bush and former U.S. Secretary of State Hillary Clinton in a virtual tie in a hypothetical 2016 presidential race in Florida. The poll gave 44 percent to Clinton and 43 percent to Bush. While presidential primaries and caucuses are still a year away --- and the fields of candidates are loaded with speculation — the poll indicates Bush would be the toughest opponent for Clinton in the critical swing state of Florida. 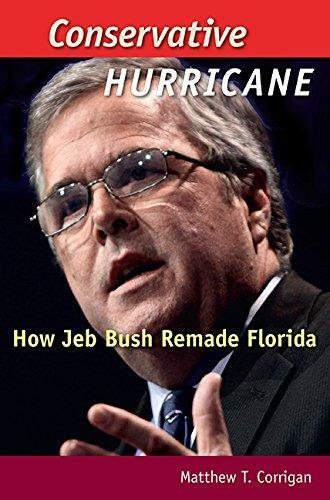 As Jeb Bush's family hints at a potential presidential run in 2016, a new book reflects on his political career in Florida. 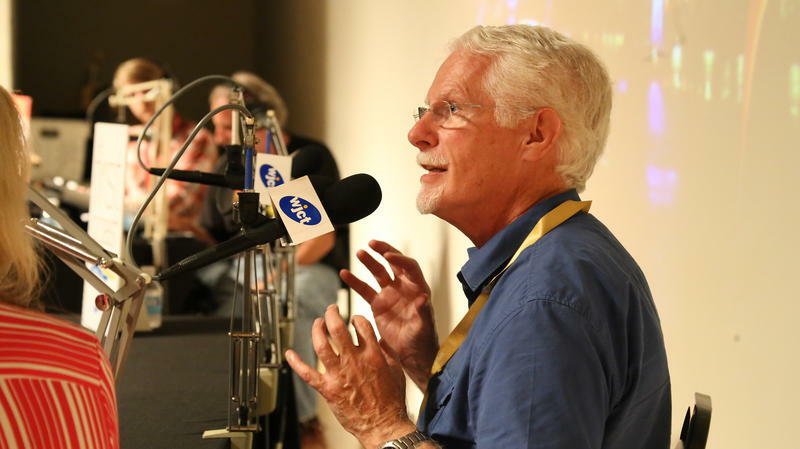 Note: This episode was recorded in from of a live audience at MOCA Jacksonville the night of April 9, 2015. On our final broadcast from the One Spark 2015 crowdfunding festival, we look at what goes into choosing the winning projects for several special awards with jurors Lukas Costas, Grace Belangia, Jay Harris and Jane Evans. Jason Pratt, co-owner of the outdoor design company and successful One Spark 2014 creator Pratt Guys, and One Spark volunteer Kristyn Galane join us to discuss what goes into making the festival happen. 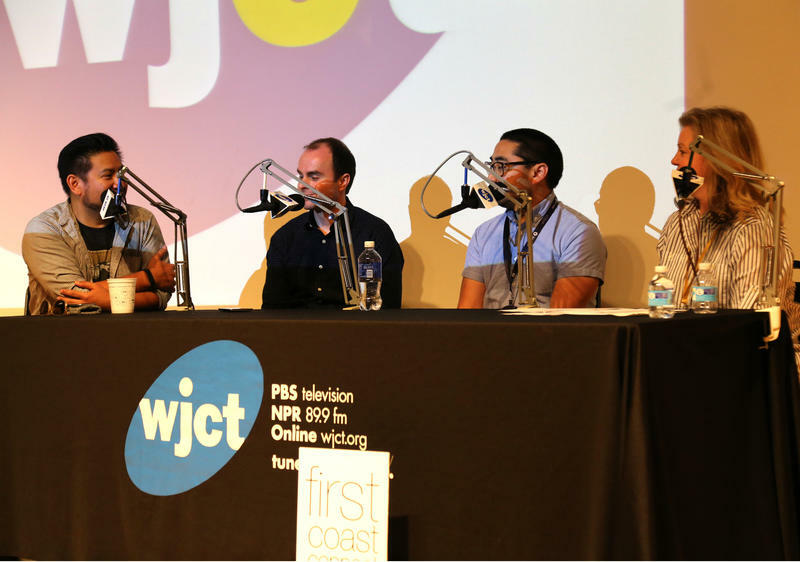 Note: This episode was recorded in front of a live audience at MOCA Jacksonville the night of April 8, 2015. As crowds descend on downtown for the first official day of voting for One Spark 2015, the crowdfunding festival's founders Elton Rivas, Dennis Eusebio and Varick Rosete join us to discuss how it started and what is new this year. We also learn about some of the film projects currently being screened at the MOCA Jacksonville theater from filmmakers Michael Glinski, Derek Boyd Hankerson, Keagan Anfuso, Drew Brown, and Kim Murray.